High-efficiency T5 modular fittings and bespoke LED luminaires were among those selected during a project geared to improving conditions for staff and students. With alumni ranging from acclaimed actors Christopher Ecclestone and Maxine Peake, to iconic artist L.S. Lowry and writer/broadcaster Sarfraz Manzoor, the University of Salford has long been an integral part of British academic life. Maintaining first-class student facilities is obviously an important element in ensuring that the university continues to attract the brightest and best students, and in this spirit the technical team recently initiated a refurbishment of the Student Life Centre (SLC). Staffed by dedicated advisors, the SLC serves as the first port of call for students seeking advice on a wide range of issues. Its position at the heart of university routines is unassailable, but in recent times there had been a feeling that the Centre was in need of a revamp. In particular, it was determined that the level and quality of the permanent lighting spec was no longer fit for purpose. “Right from the start of the wider refurbishment project we wanted to enhance the visual illumination perception of the Centre in conjunction with current industry requirements and energy efficiency constraints” recalls Integrated Services Engineering (ISE Ltd) Electrical Director, Kris Kocsis, who served as the mechanical and electrical design engineer for the project. “We knew that would not present too much of a problem – but what was challenging was the need to identify an LED recessed downlight to replace existing compact fluorescent fittings within the constraints of the existing MF Plasterboard ceiling apertures of the existing luminaires.” Read more. 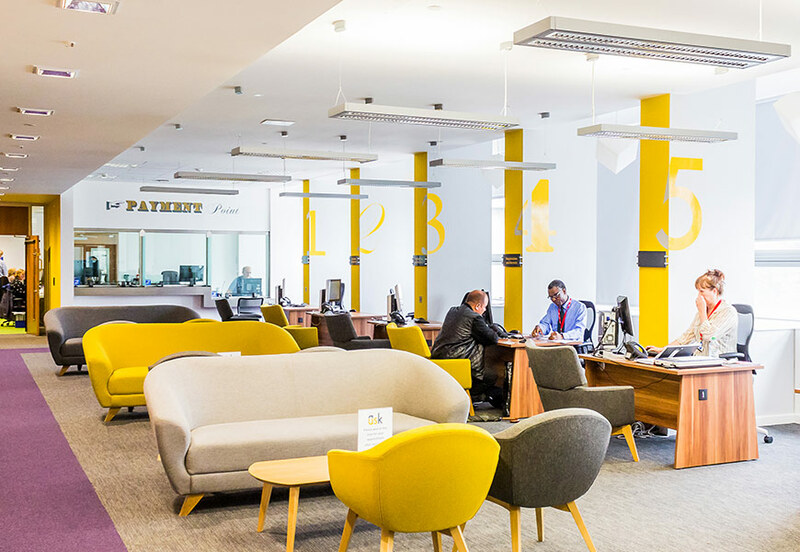 Ultimately, this problem was resolved with a bespoke fitting developed by Tamlite Lighting as part of its complete new lighting solution supplied to the SLC. 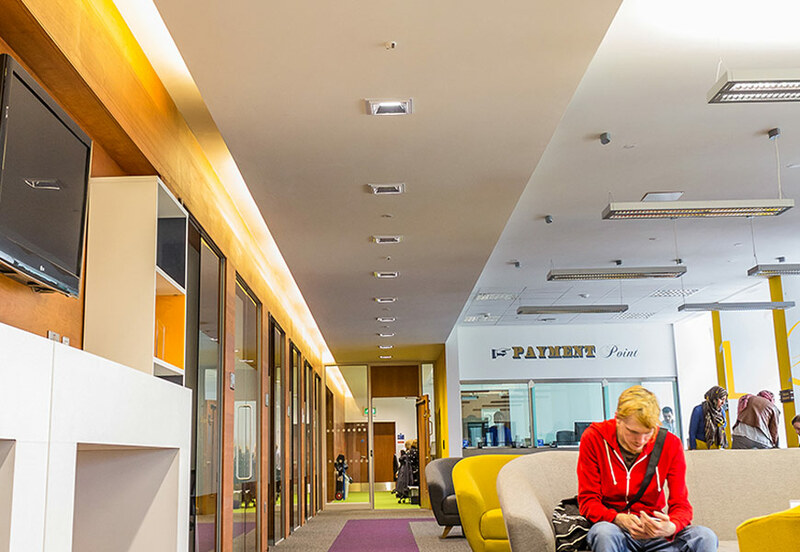 A leading lighting supplier since 1967, Tamlite has contributed to numerous schools and higher education projects over the years, with the University of East Anglia and Aston University just two of its more recent credits. Reducing energy consumption is an obvious benefit of next-generation flourescent and LED lighting installations, with projects in schools and colleges regularly returning long-term savings in excess of 40%. But equally important to the University of Salford project was the creation of “a more comfortable environment for students and staff to converse and talk through important topics. 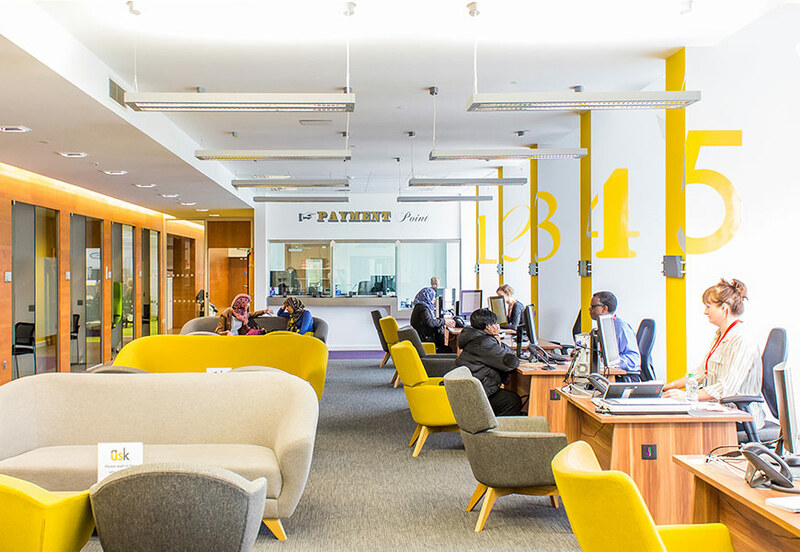 The feedback from staff, in particular, was that the existing lighting was no longer conducive to this kind of dialogue,” says University of Salford Energy Manager Matteo Littera, who was overall Project Manager for the SLC fitout. After careful consideration of the various available options, Littera and Kocsis pressed ahead with a Tamlite solution based around some of the Company’s popular existing range, as well as some brand new products. 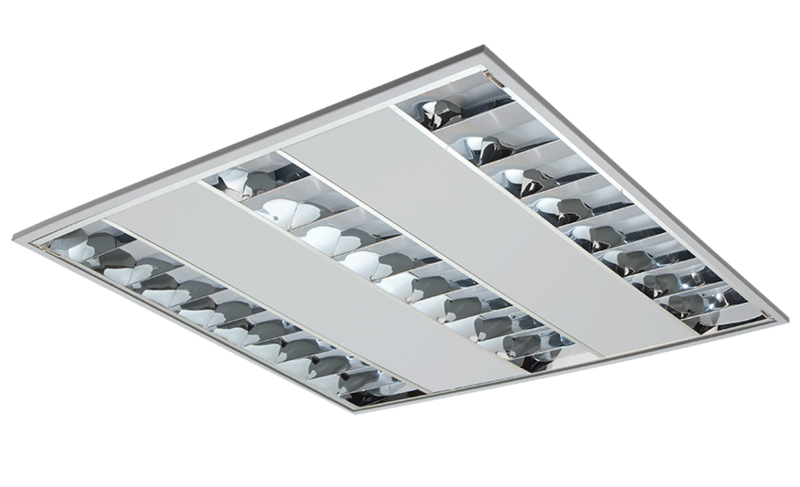 Tamlite 2020 Excel recessed modules, designed to deliver excellent light output ratio and uniformity whilst preventing glare, were deployed in the open plan offices. 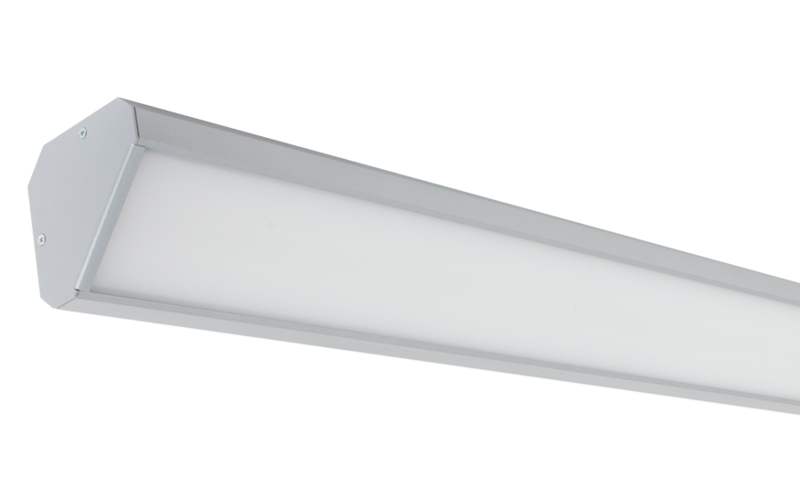 A stalwart of the Tamlite range, 2020 Excel delivers superior energy efficiency, surpassing the requirements of UK Building Regulations Part L2. Companies purchasing this range can qualify for the Government’s Enhanced Capital Allowance (ECA) Tax relief scheme. Due to their enhanced aesthetic appeal and die-cast aluminium construction, plus bespoke uplight control, Tamlite 2020 Aero suspended direct/indirect linear architectural fittings were selected for the consultation areas and individual meeting rooms. 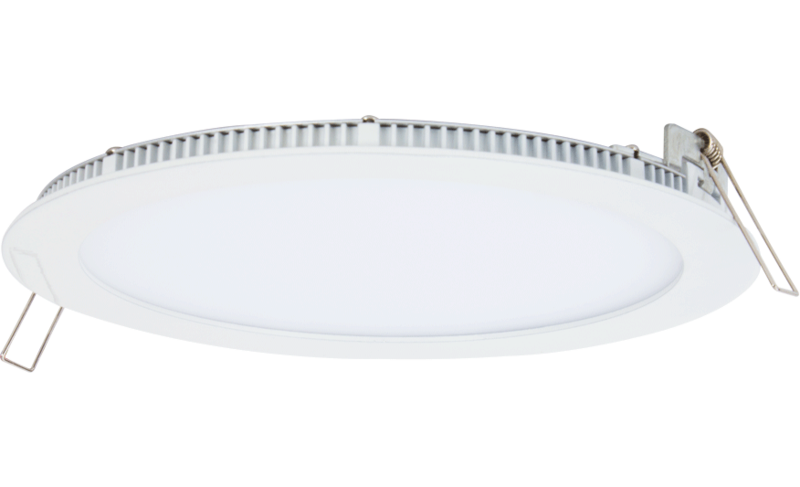 Like the 2020 Excel, the Aeros have DALI compatible digital dimmable control gear, for integration with automated lighting controls, thereby ensuring the best possible efficiency of system operation. To replace the original square CFL downlights throughout the circulation areas, Tamlite Specification & Project Engineer Ian Clifford devised a recessed LED downlight and frame adaptor, manufactured especially for this project in Tamlite’s Redditch factory. Completing the lighting infrastructure were units of the new angular profile linear LED, Cornice – whose performance at the SLC site has been so impressive that it is now a permanent part of the Tamlite 2020 architectural luminaire range – as well as a number of circular, ultra-slim Euro LED downlights to replace existing fluorescent fittings in the WCs. Some months on from the completion of the project, both Littera and Kocsis report that the desired-for quality and consistency of lighting has been achieved to the satisfaction of both staff and students.